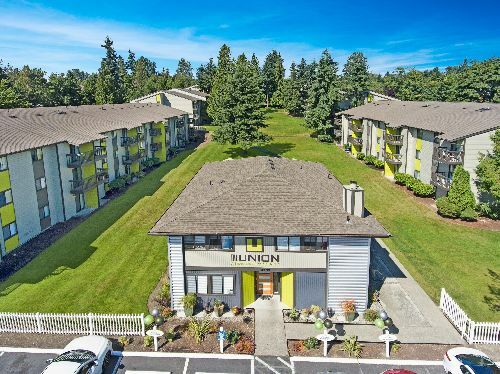 Los Angeles-based Gelt Inc closed on the acquisition of a two-property apartment portfolio containing 491 units in two Seattle submarkets for a total price of $74 mil ($150.7k/unit). The properties include The Row, a 247-unit asset in the City of Kent, and The Union, a 244-unit property in the City of Federal Way. Both properties are located minutes from one of the key components of Seattle's economic boom, The Kent Valley, which is home to over 110 msfof industrial space, and a tenant roster that includes Boeing, Amazon, REI and Starbucks, among others. The Union is minutes away from the Tacoma Port and Seattle, and is proximate to Saint Francis Hospital which employs over 5,000 people. The Row benefits from Boeing, which employs 2,000 people in Kent, as well as Amazon with nearly 2,000 employees at its 800k sf fulfillment center and 158k sf industrial building occupied by Amazon Fresh. Harris noted that the seller had executed a light renovation program to some of the interior units for both communities in addition to making common area improvements including renovations to the clubhouse and fitness center, adding new signage and branding, new paint, and making parking lot improvements. Gelt plans on modernizing the majority of un-renovated interior units by installing vinyl plank flooring, new cabinet faces, black appliances, and new fixtures. The firm also plans on adding new amenities to The Union to including a package room and upgraded barbeque/gazebo area. Built in 1981 and located at 25426 98th Ave South in Kent, The Row is situated on 10.81 acres and includes 13, three-story buildings with pitched roofs. The property offers 32 studio units, 35 one-bedroom units, 152 two-bedroom units, and 28 three-bedroom units with an overall average unit size of 754 sf. The community amenities offered at this pet-friendly property include: swimming pool and sundeck, clubhouse, fitness center, on-site maintenance / management, and laundry facility. The Row is near Kent Station, Westfield SouthCenter Mall, and Kent Hill Plaza Shopping Center. Built in 1984 and located on 7.9 acres at 2111 SW 352nd Street in Federal Way, The Union is a garden-style community that includes seven three-story buildings. The property consists of 33 studio units, 150 one-bedroom units and 61 two-bedroom units with an overall average unit size of 641 sf. The pet-friendly property includes a swimming pool with sundeck, business center, clubhouse, fitness center, laundry facilities, picnic area, grilling stations, dog park, courtyard, package receiving, and on-site management and maintenance. The Union benefits from being minutes away from the Tacoma Mall and The Commons. Kenny Dudanakis, Ben Johnson and David Sorensen of Berkadia represented both the buyer and the seller, FPA Multifamily LLC, in the transaction.